Where Does our Micro-biome Come From? Did you know that as an expectant mother it’s even more important to have healthy gut bacteria? We know that having a healthy diet is crucial for a developing baby. What most people don’t know is that our micro-biome, this is our “good gut bacteria”, is passed on to our baby during the birthing process and though our breast milk. We have lots of new information from microbiologist Kiran Krishnan about these important microbes. We love sharing all the latest research with you. Check out our second installment of the Microbiome Series. Kiran explains that 99.9% of our micro-biome is passed on during the birthing process through the birth canal. There are up to 800 different species of these bacteria found in a mothers breast milk. We think you’ll agree that it’s so important to pass the best possible micro-biome on to your children. Kiran’s research shows that by the age of 2 1/2 children have established their full adult micro-biome. Lets take a look at the lifestyle factors that can affect the diversity and abundance of these protective organisms in our gut. 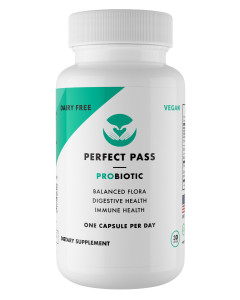 Stay tuned for the next installment in our series of talks with Kiran and learn about the latest research findings on the Human Micro-biome and Perfect Pass Probiotics. Kiran has been studying the micro-biome and researching the effects of Bacillus strain probiotics in over one dozen clinical trials.